If there’s one trend that was in evidence at Esxence it was the resurgence of water themed perfumes, known as aquatics. This much maligned genre seems to be bubbling into life in the niche world. Back in the 90’s perfumes surfed in on a giant calone wave. Who didn’t have a bottle of L’Eau d’Issey or one of the male equivalents, such as the generally derided but oh so popular Cool Water. There’s a sense of refreshed thinking behind the new wave and Salina from Laboratorio Olfattivo belongs to this generation as does Copal Azur from Aedes Venustas. Also in evidence at Esxence was the Croisière Collection from Pierre Guillaume and a highlight for me in this mix was Acquasala from Gabriella Chieffo. Clearly there’s something in the water. The Croisiere Collection and Acquasala are turning the genre on its head by not using calone, they’re fishing in different waters. Gabriella Chieffo’s line launched in 2014 with four perfumes – Lye, Rag, Camaheu, and Hystera. She utilises artwork and stories for her perfumes in an interesting, feminine way that references motherhood, cooking and a spiritual connection to her homeland of Southern Italy. Gabriella’s artwork features herself in Cindy Shermanesque photography that brings to mind Italian women – strong and passionate archetypes. She subscribes to the Lutens tendency to craft elaborate stories surrounding the perfumes, which take on an element of fantasy. 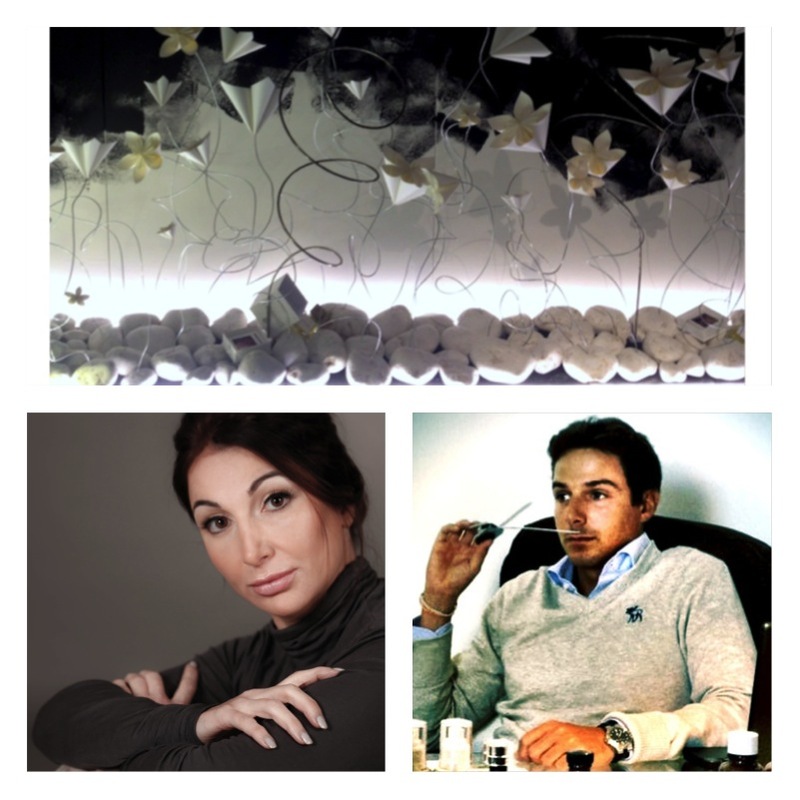 Gabriella had one of the most alluring stands at Esxence that bloomed with cream coloured origami flowers scented with her perfumes. As I was working my way around her flowers, I quickly realised that my favourite was Acquasala, a floral marine signed by Luca Maffei, a young perfumer who was a winner at the 2015 Art and Olfaction awards. It’s what I would describe as a departure from the aquatics of old as the new wave utilses a more contemporary and sophisticated blend of shades and tones from the niche palette. Acquasala is a perfume of contrast, with salted water washed up against spiced incense. I enjoy it more on each wear. This salted water perfume references not only introspective moments of contemplation and growth, but also has a culinary link. Acquasala is a traditional Southern Italian food made with stale bread, chilli, garlic and egg. I don’t always think the marketing stories match the perfume. But in this case I get the drift. When I first smelt this perfume at Esxence, (before I read the perfume’s story), I immediately imagined that I was underwater, floating peacefully. Even though I can’t bear the thought of diving, it made me feel that I was deeply immersed in water with the smells of floating debris around me. The artwork further develops this image, reflecting moments of connectedness and protection. An umbilical cord is referenced in the photograph – that magical connector between mother and child in the womb. The water brings to mind the child’s immersion in the womb’s amniotic fluid. On subsequent wears this underwater image still remains, but there is a beguiling contrast with a distinct peppery, spicy opening that seems to intensify over time as the incense washes the scent with its aroma. The spiced element is present in Acquasala from the get go in the form of caraway, elemi, nutmeg and pepper. There is a dose of iris in here too but it’s only slight before the marine element is given a lift from the cashmeran, musk and patchouli. The aqua component or kelp as it’s listed in the notes, has a mineral like aspect and it’s slightly salty. But this is not one of those overly salty aquatics by any means. Acquasala eschews that insouciant salty beach vibe of sunscreen and blue skies that are often present in marine fragrances. It has a cleverness to it. An intellectual marine perfume if you will. I dabbed a little REM (mer spelt backwards in French, meaning sea) to compare, which is a popular marine scent in France from jewellery brand Reminiscence. From memory I anticipated similarities but there was hardly any cross over at all as the mood of the perfume was so different. REM really does bring to mind a beach where you’re dabbling your feet in the water, with the smell of sunscreen, salt and hot air all around. It has a warm quality, a tanned up tone that is quite comforting and smells a lot sweeter. Acquasala perhaps shares more common ground with Copal Azur from Aedes de Venustas with the combination of incense and a watery aspect. However that scent has an intensity that screams incense. Acquasala has a much more ethereal otherworldly fluidity. 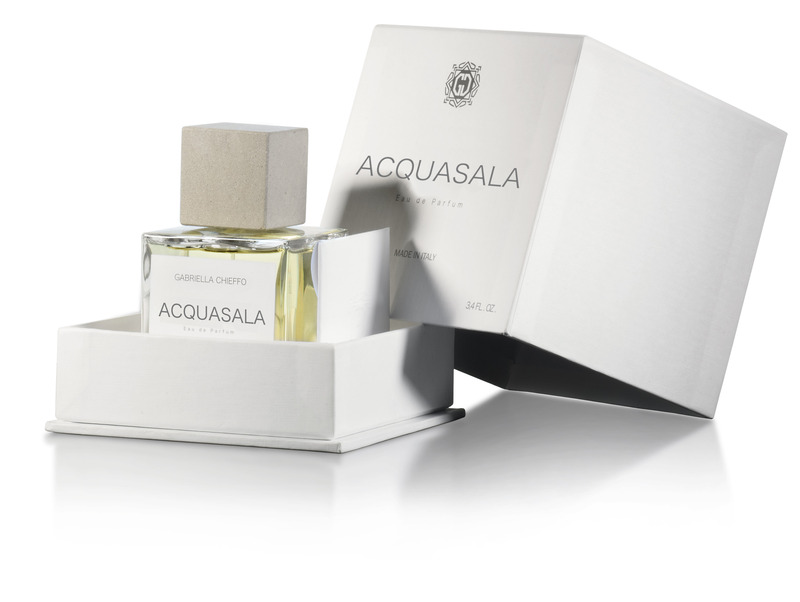 Acquasala is calming, very peaceful and has an introspective nature, with a weightlessness that appeals. It’s a marine scent that doesn’t resort to the beach trickery of old, it’s forging a different path and it’s rather captivating. Disclosure : Sample from Esxence. Opinions my own. 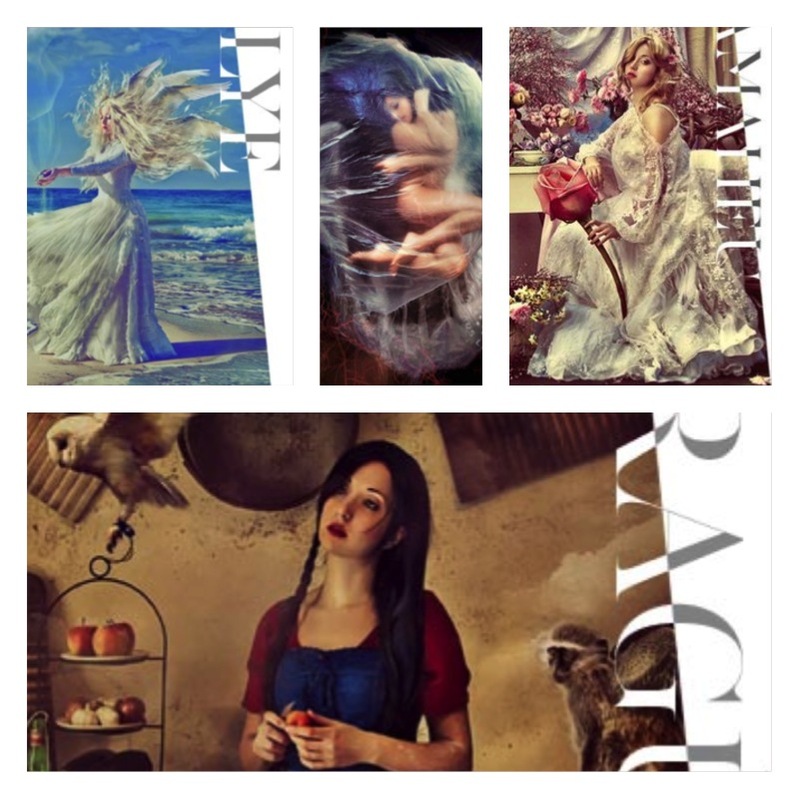 Note : The photographer for the Acquasala artwork is Gabriela Slegrova, a photographer and model. How I love the main image. I like the name too [I must be a waterholic]. Thanks for your review. Thanks Melissa. It’s an interesting perfume, so if you come across it definitely give it a try. Actually the whole range is a little unusual (in a good way) so try and scout them out. The imagery is great for this perfume.